Joshua’s public law practice includes both the Administrative and County Courts, with particular expertise in social housing and age disputes. His experience encompasses homelessness and allocations, through human rights and disability discrimination, to community care (including age assessment disputes between unaccompanied asylum-seeking minors and local authorities). He is familiar with out-of-hours applications to the duty judge. He acts regularly for local authorities, social landlords and tenants in all aspects of social housing law (both private and public). He has advised and advocated in a variety of cases related to local government powers and duties, for instance providing advice to local authorities on human rights and discrimination issues, and representing clients across a range of public and regulatory law issues: from planning breach injunctions to parking enforcement, in civil and criminal matters, in the Magistrates’, Crown and County Courts, including private and local authority prosecutions (such as Environmental Protection Act 1990, trading standards and benefit fraud), DVLA medical appeals, and ‘O licence’ cases. He also has experience of professional disciplinary proceedings, in particular on behalf of the Nursing and Midwifery Council. Joshua was a Part-time External Tutor in Public Law (Judicial Review) on the Bar Vocational Course, BPP (London) in 2006 and 2007. R (GE (Eritrea)) v SSHD and Bedford Borough Council  EWHC 1406 (Admin): Joshua enabled his client to prove that the local authority had wrongly assessed her age both as a question of fact and on traditional judicial review grounds. R (GE (Eritrea)) v Secretary of State for the Home Department and another  EWCA Civ 1490: a leading authority on the definition of ‘former relevant child’ in the Children Act 1989, the judgment establishes a local authority’s duty to consider its discretionary powers to remedy any unlawfulness arising from its erroneous assessment of a child’s age. 4-day Upper Tribunal age dispute hearing defending local authority’s assessment of an Albanian national – Joshua successfully resisted the Claimant’s arguments based on SA (Kuwait) v SSHD  EWCA Civ 1157 that the UT should decide the case on the documents alone but should hear evidence  to assess the Claimant’s credibility (October 2014). R (MW) v Croydon London Borough Council, CO/10832/2011 (Upper Tribunal, 18/01/13): Joshua succeeded in establishing the claimed age of an Afghani child who had been unlawfully age-assessed by the local authority; the Tribunal made particular criticisms of the authority’s age assessment process (especially a failure to put adverse matters to the applicant). "Your professionalism, thoroughness, tactics and overall performance during the hearing were top notch and I will not be convinced otherwise than that you were the major factor in our being successful in the dismissal of the claim against us." Bar Vocational Course, Inns of Court School of Law in 1997/98. 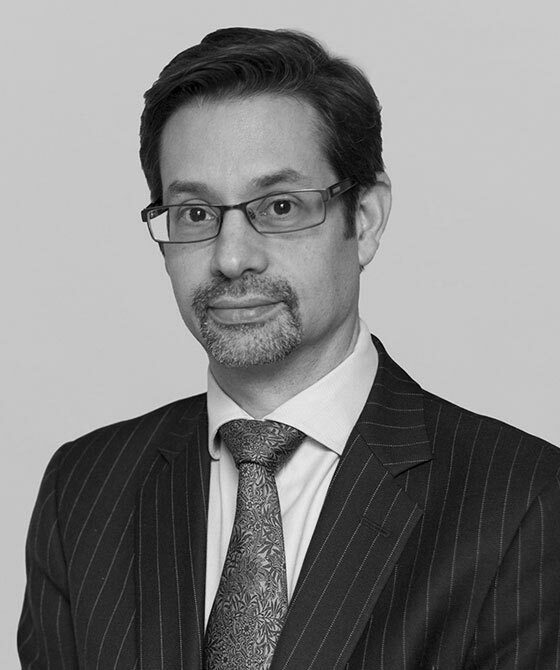 Joshua Dubin is qualified to accept instructions directly from members of the public and professional clients under the Direct Public Access scheme.